FREE T-SHIRTS - Come Early & Get Yours! Dead Head? Love to dance? Love Jam Bands? 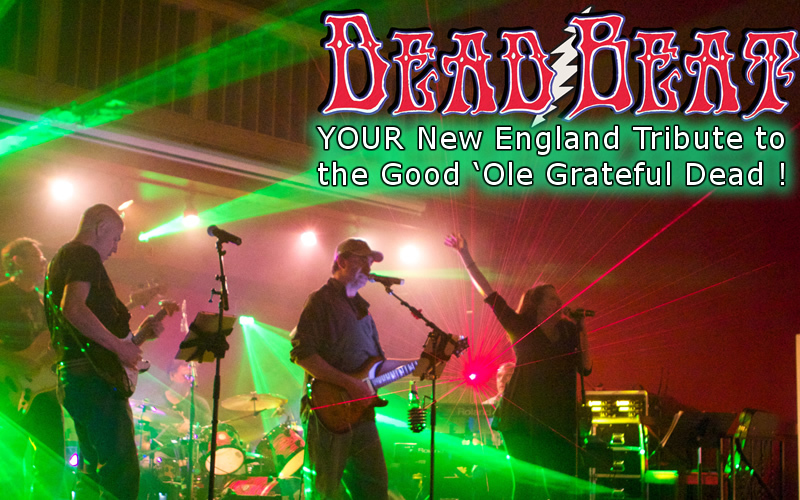 Come, feel the vibe and dance to New England's top Jam Band & Grateful Dead Tribute. We'll set up tables with plenty of room to dance on the North Shore's best dance floor! 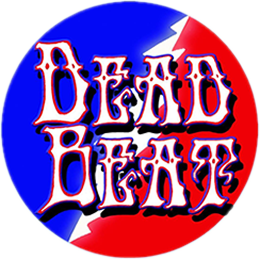 DeadBeat is a jam band that brings alive the sound and style of the Grateful Dead, The Jerry Garcia Band & all of the music that Dead Heads love to hear! Performing in Greater Boston, Metro West and Southern New Hampshire since 2005, Deadbeat delivers an upbeat vibe that will keep you on your feet and dancing all night! DeadBeat is 6 pieces (Drums, Bass, Keyboards, Rhythm Guitar, Lead Guitar & Vocalist) consisting of seasoned musicians each with 3+ decades of experience & with national and international gigging and recording credentials. A groovin' dance vibe with a rock edge featuring strong 3 part vocal harmony and instrumental soloists.